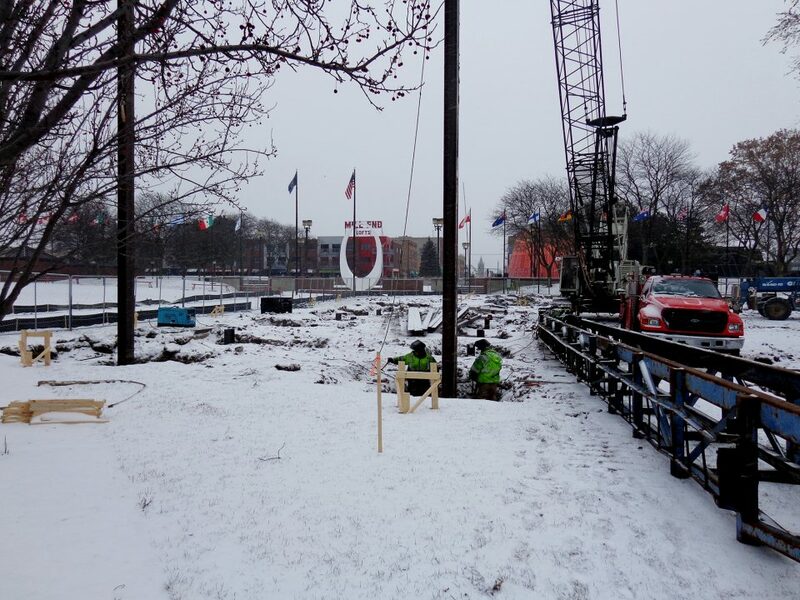 Construction Progress: Wenonah Park | Bay City, MI | William A. Kibbe & Associates, Inc.
William A. Kibbe & Associates is providing architectural and engineering design services for Wenonah Park improvements that are starting to take shape in downtown Bay City, Michigan. Construction photos below show steel piles being driven into the ground, as well as concrete pile caps and grade beams being formed and poured, to support a new 5,000 SF multi-purpose pavilion structure and a 3,000 SF accessory building that are both under construction. 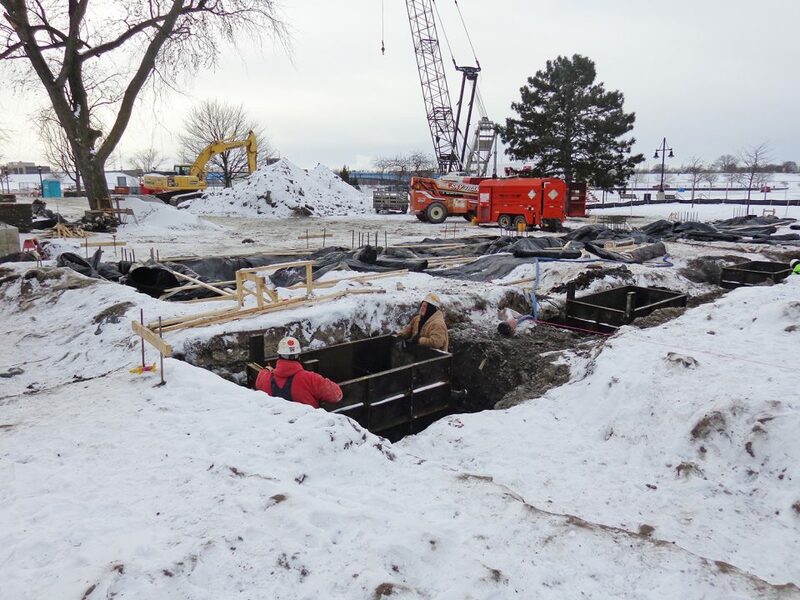 Pile foundations were required because of the poor soil conditions that are present at this site which is adjacent to the Saginaw River. 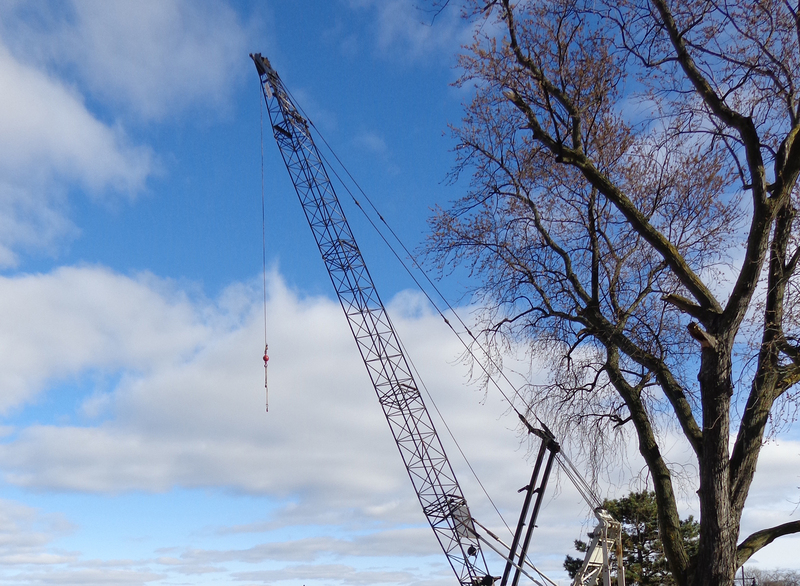 Steel H-piles have been driven to hardpan approximately 85′-90’ below grade. 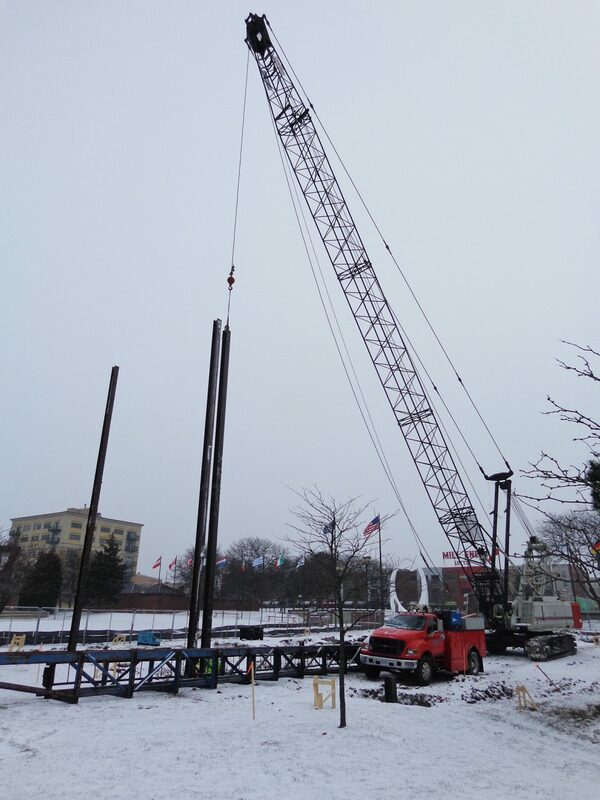 The piles have all been driven and construction of the pile caps and grade beams is now underway. These two new structures are part of a major renovation to Wenonah Park that will continue into the spring of 2018 and beyond. Construction is being coordinated by J.R. Heineman & Sons.